Many of us can appreciate how refreshing grass feels under our bare feet. But did you know that a healthy lawn has even more advantages than simply looking and feeling great? When you consider all the benefits, keeping a lawn thick and healthy is a worthwhile investment! Turfgrass captures carbon and releases oxygen into the air. A thick lawn filters pollution from rain, reduces water runoff, and prevents soil erosion. A lawn of healthy grass absorbs sound and reduces noise pollution. Turfgrass keeps the environment cooler than surfaces covered in asphalt or bare soil. Green space improves wellness and reduces stress. Some studies claim that walking barefoot in grass can reduce inflammation, improve sleep, and strengthen immunity. A well-maintained lawn boosts a home's curb appeal and strengthens community bonds between people who enjoy spending time in their yards. Kids, pets, adults, and professional athletes prefer to play on natural turf. Thick grass naturally protects a yard against weeds and is more heat- and drought-resistant. 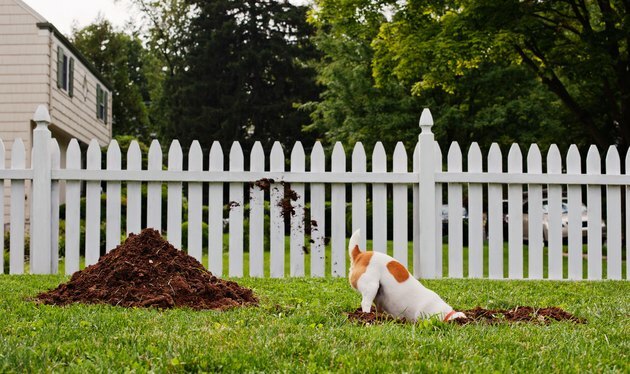 Everyone enjoys a beautiful green lawn, and some kinds of fun leave a lawn looking a little bare. Topdressing is the process of adding a very thin layer of topsoil mix to the surface of an existing lawn. There are several reasons to do this. For small areas, use a garden shovel and the back side of a heavy garden rake to spread a thin layer of topdressing. Once the soil is spread evenly, turn the rake over and use the tines to lightly comb through the grass. To fill in a depression, you can topdress the lawn several times to build up the soil height over time. Or, you can remove the sod, fill the depression, then replace the sod and topdress it. 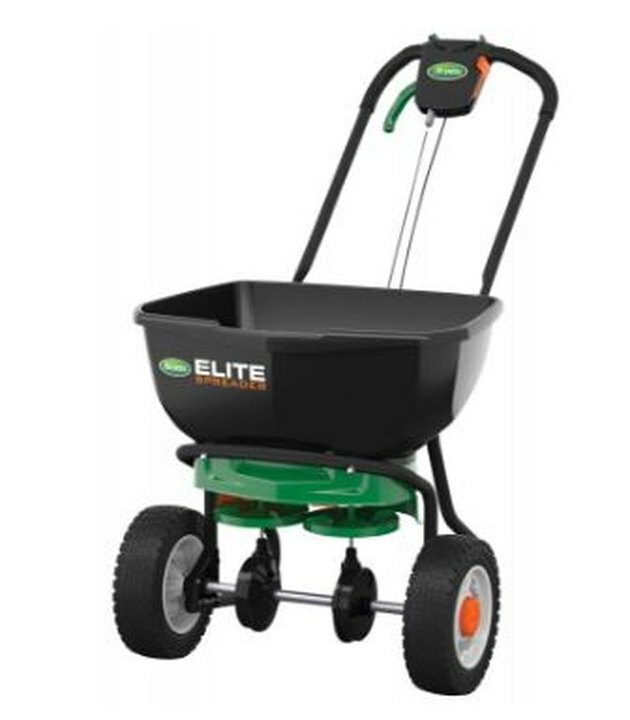 For an entire lawn, use a mechanical spreader to apply either pulverized topsoil or a quality compost in a layer 1/4-inch thick or less. Be sure to apply a soil mix that closely matches the existing soil. This will prevent layers of different soils from forming, which can impede water and nutrients from reaching the roots of turfgrass. Water the area well after topdressing, or time the application so you topdress just before a gentle rain. Start around the outside edge of the lawn and then walk in rows to fill in the middle space. Where it is necessary to amend soil or where your lawn has compaction issues, first use a core aerator, then top-dress the lawn with sand or a sand-organic matter blend. A plug aerator removes small plugs of soil and turf so that air, water, and nutrients can move through the root system. The process also creates space for additional soil and grass seed to integrate into the existing lawn. It's best to aerate during the cool months of spring or fall, especially after a rain that softens the soil. Allow the plugs to dry and break down on the lawn. You'll need to top-dress the lawn for several subsequent years with the same soil blend to successfully change the soil composition. 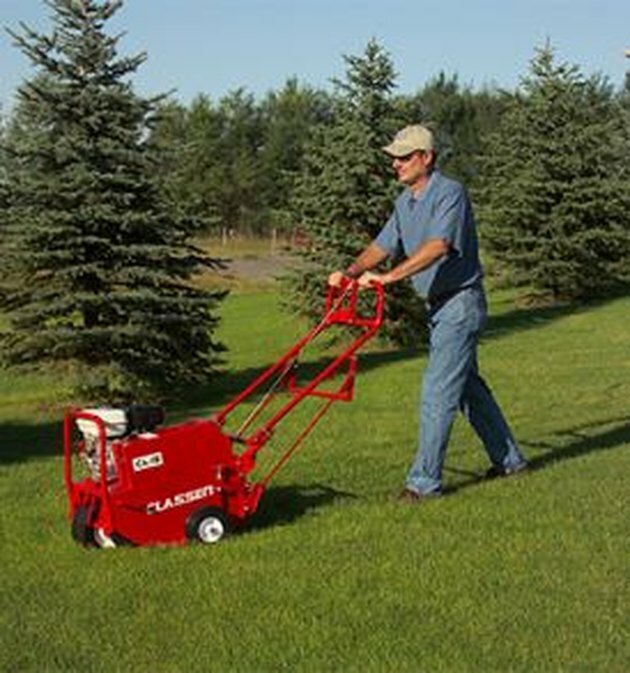 Consider renting a self-propelled core aerator that's sized for small to medium yards. 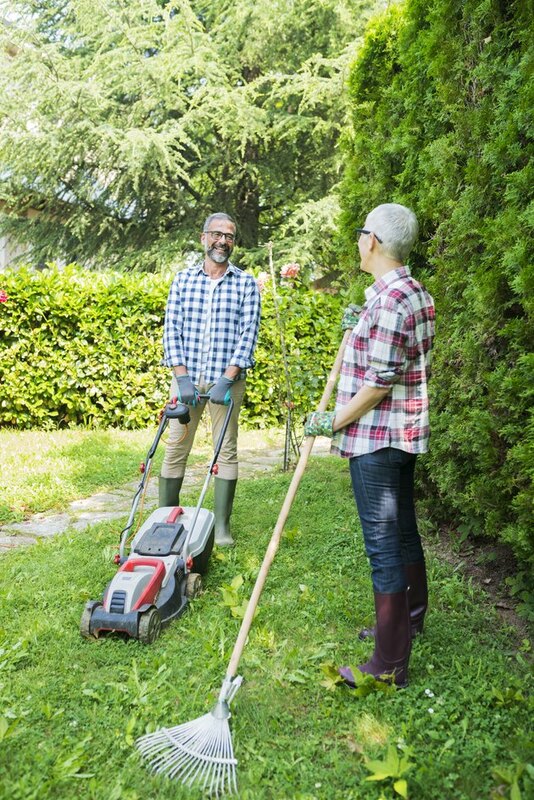 To fill in bare spots or reinvigorate a thin lawn, you can apply grass seed over an existing lawn, provided at least 50 percent of the lawn is in good condition. If the lawn is in poorer condition, overseeding alone will not be enough and it's better to start again with a new lawn or an alternative to grass. Aerating and top-dressing a lawn can be great preparation for overseeding, but it's not necessary. You can also prepare a lawn for overseeding by mowing it at the lowest setting and bagging the clippings. After mowing, lightly rake the yard to expose and loosen the soil so the grass seed can make contact and take root. Otherwise break up the thatch layer with a power rake and remove the debris. Mow and rake a lawn to prepare it for overseeding. Select a grass seed that's compatible with your existing turfgrass and will actually improve it by addressing any lawn problems that exist. For example, you might choose a seed mix that is shade- or disease- resistant or one that tolerates extreme conditions related to temperature or drought. Apply the seed with a spreader and then lightly rake the area to help the seed make contact with the soil. 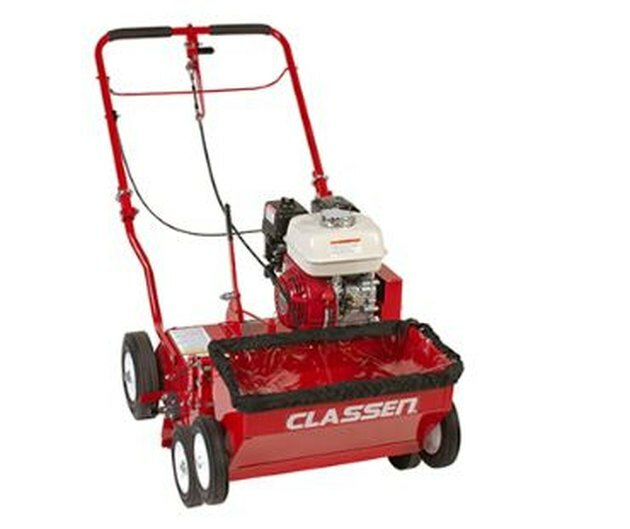 As an option, you can rent a power slit overseeder that cuts slits into the soil, drops the seed, and covers it with soil. Front seed drop ensures follow-up soil coverage from the blades for better seed germination. Water your lawn once or twice daily based on weather conditions until the new grass reaches the height of the existing lawn. The grass seed package will likely give directions on how to care for the seed and how long to wait before mowing. Can I Put Sod on Top of Existing Grass?